Important things to consider, some essential documents and some ideas for beginning school planning related to mental health and well-being are highlighted in this Tip Sheet. Learn more about LMHS – Mental Health and Well-being in School Improvement Planning. Student mental health issues can be overwhelming at times and it is important to remind staff that these feelings are normal and that taking care of ourselves is essential. Learn more about LMHS – Supporting Staff Mental Health and Well-being. 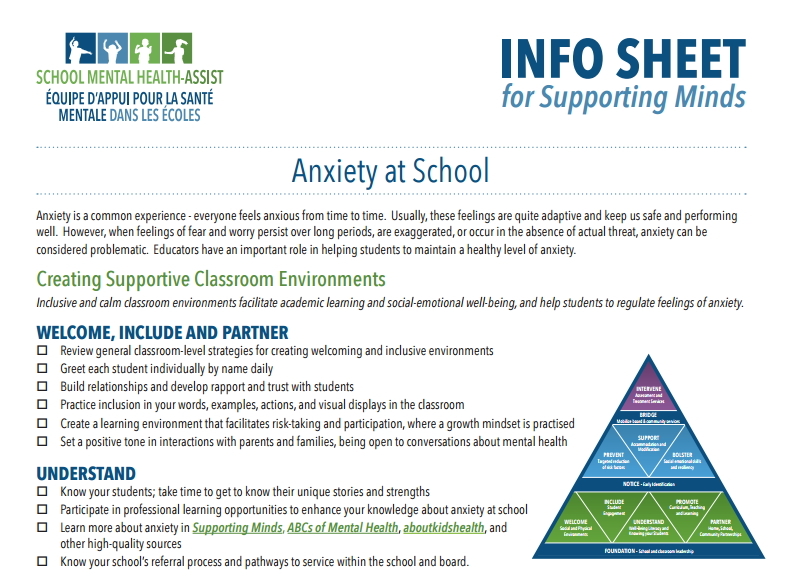 This Tip Sheet is part of a suite of resources to support Leading a Mentally Healthy School and focuses on the development of meaningful relationships to support mental health. Learn more about LMHS Building Relationships. This Tip Sheet is part of a suite of resources to support Leading a Mentally Healthy School and provides key points to consider in your role in building staff capacity. Learn more about LMHS Building Staff Capacity. 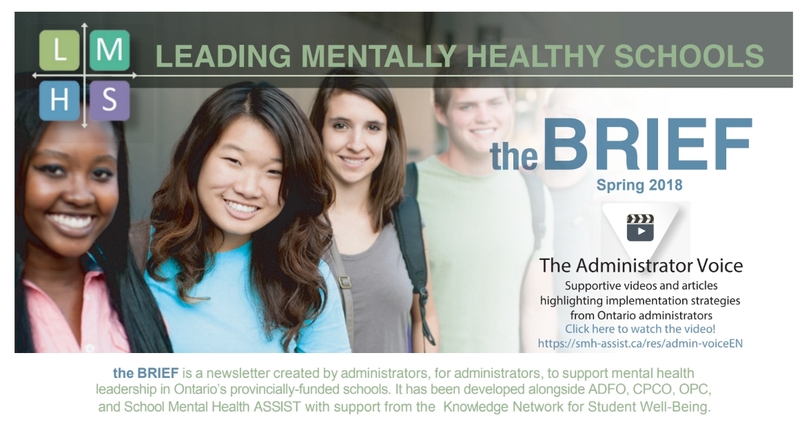 Provides updates for school administrators on leading mentally healthy schools. Learn more about the BRIEF Spring 2018. Developing positive mental health is foundational to student academic achievement, effective life skills, and overall well- being. 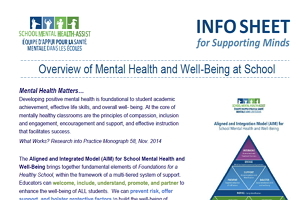 Learn more about Overview of Mental Health and Well-Being at School. School Mental Health ASSIST has developed a series of Info-Sheets on the topic of prescription opioid misuse, including a focus on fentanyl. 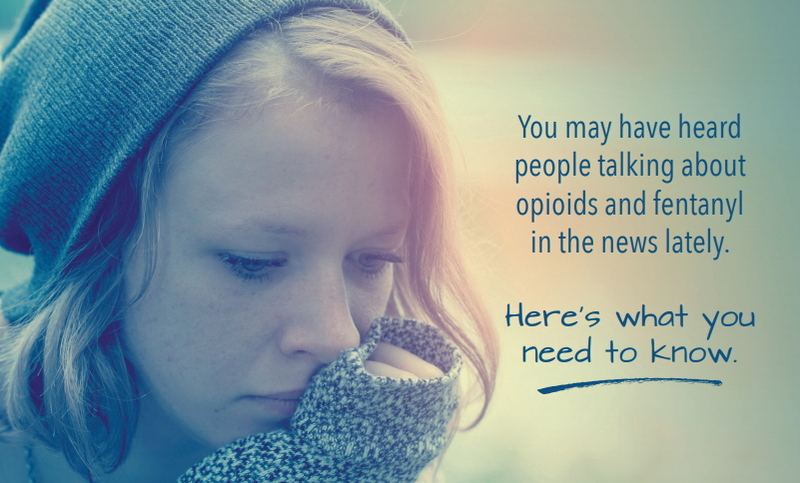 Learn more about New Info-Sheet on Opioid Misuse. Educators know that students will face anxiety at times. Usually, these feelings are helpful for students. However, when feelings of fear and worry last for a long time, are exaggerated, or occur without a real threat, anxiety can be a problem. Educators have an important role in helping students maintain a healthy level of anxiety. Learn more about Back-to-School Featured Resource Educator Info-Sheet on Helping Students to Manage Anxiety. To engage students, we need to consider how they like to communicate! 81% of Ontario students visit social media sites daily.